How can I register for the trial session? Please fill and submit the registration form. If you wish to have five days of classes a week then the first week will be the trial session, and if you wish to have 4 days, 3 days or 2 days of classes a week, your trial session will be according to the same number of days. After the trial classes, your regular session will begin. Is there any cost of trial classes if I start the regular session or leave after the trial? No, trial classes are absolutely free. you will be charged once you start the regular session after the trial session ends. the standard duration of each class is 30 minutes, however, if you want to increase the duration of your session it can be increased up to a maximum of 6o minutes but the cost will increase accordingly as We charge based on the time, not the number of classes. Do you provide female teachers as well? Yes, We have both male and female teachers available. Do I need a copy of the Quran or any other course books when I learn through OnlineQuranCourse? 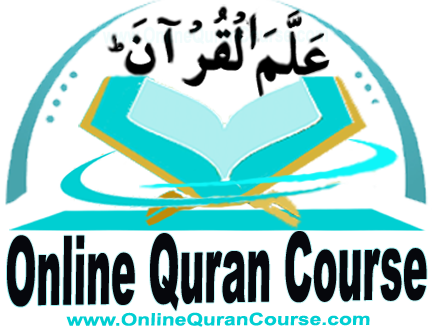 No, OnlineQuranCourse will provide all the material needed during the class session online. What if a teacher misses the class or comes late? If any teacher is unable to teach the class, We will provide another teacher to fill in his place and If any teacher is late then the class will be extended to make up for the session. If any class could not be held because of a technical issue, the session will be redeemed at a later time or the fees may be refunded. How do I choose which course is suitable for me? Our team member will guide you in your first Demo lesson to help you choose which course will be the most beneficial and suitable for you. You can pay through various methods such as paying online on our website, through a bank or through Ria, Moneygram, Western Union etc. Our billing team will guide you towards the most suitable way of making your payment. At OnlineQuranCours We take a monthly test of our students to ensure our teaching quality and the progress of the students, thereafter a detailed report is given to the parents.We also send daily assignments to the students as homework. Is there an age limit for studying at OnlineQuranCourse? No, Absolutely Not!. At OnlineQuranCourse We accept students of all ages. therefore anyone can join us regardless of their age as there is no limit for learning Islamic Education.